LifeAssist works in partnership with our clients with a shared objective – to make individuals and organisations more effective by enhancing the Employee Value Proposition (EVP), promoting employee engagement and mitigating risks associated with health and lifestyle. To achieve a return on investment, it is essential to align our Employee Assistance Programme (EAP) with the business imperative for wellness. Best results are achieved when there is executive advocacy and partnership with Human Resources, Organisational Development, Talent Management and Learning and Development/Training. 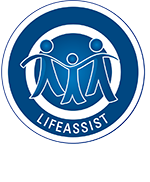 The LifeAssist EAP has the potential to complement Onsite Clinics, Occupational Health & Safety, the Medical Aid Scheme and the Retirement and Disability Fund. Establishing a foundation and policy framework that supports the programme design, implementation, measurement, monitoring and evaluation, through consultation and in partnership with the client. Employee Assistance: Counselling and advice for employees and their families on a wide range of issues pertaining to work-life and personal-life. Reasons are diverse and include adjustment challenges; dealing with anxiety, depression and stress; interpersonal relationships; work performance; abuse: substance, physical, mental, emotional; trauma; health and wellness, HIV & Aids, financial counselling and legal advice. Crises management, incorporating trauma defusing and counselling. Employee Wellness: Intervention at this level is proactive and includes training, executive health coaching, wellness assessments, HIV & Aids interventions, wellness events, health promotion campaigns and online wellness for information, advice and interactive tools. Organisational assistance with the focus on the human factor as key influencers of organisational effectiveness. Emphasis is on leadership development, absenteeism management and governance in respect of mitigating health risks. The EAP is an effective tool for managers to assist them to hone leadership and to equip them to engage constructively with their employees. Manager training is a critical success factor, if this benefit is to be realised. The 2008 Deloitte survey in pursuit of the Best Company to Work For in South Africa identified the trends that distinguished a company that is seen by employees as being an employer of choice were leadership, communication, mutual trust and respect. By proactively engaging with employees, managers always have their fingers on the pulse of employees’ impressions and opinions, which enhances mutual trust and respect. "If a person says to me I keep my work and my personal life separate, I know that's a form of pathology. We've known that since pre-Freud, when people compartmentalise, they actually segment their personality. In mild forms its dissociation. In major forms it's called psychosis. It's unhealthy,” ~ Richard Boyatzis, psychologist and expert in organisational behaviour.